The 2017 early vanilla Season in Uganda (March, April, May) has begun well with relatively little pressure on the green vanilla beans as most global buyers were looking at an anticipated higher harvest from Madagascar. Nonetheless, we have seen local prices for cured Vanilla beans as high as USD400 per kg from early vanilla curing facilities. This already high vanilla pricing in Uganda is likely to be escalated by Cyclone Enawo that has hit Madagascar, the worlds leading Vanilla producer. Early reports indicate that the North Eastern region which was worst hit by this tropical storm in Madagascar produces nearly half of the worlds' vanilla Beans. 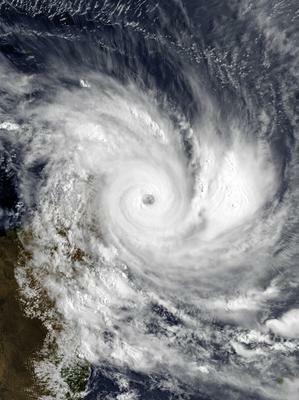 Cyclone Enawo was the strongest tropical cyclone to strike Madagascar since Gafilo in 2004. Forming as a moderate tropical storm on 3 March, Enawo initially drifted and intensified slowly. It strengthened into a tropical cyclone on 5 March and further an intense tropical cyclone on 6 March. Enawo made landfall over Sava Region on 7 March just after reaching peak intensity. According to a recent report by Cook Flavoring Company a vanilla Importer from Madagascar; the storm destroyed significant portion of Madagascar’s vanilla crop. The cyclone made a direct strike on Antalaha and Sambava, the two largest vanilla producing areas in the SAVA region. They said most of the vanilla crop (90-100%) in Antalaha is destroyed and 80% of the crop in Sambava. What this means is that buyers who were looking to buy beans from Madagascar a going to turn to alternative sources of Vanilla Beans like Uganda , Papua New Guinea and Indonesia. We're thus likely to see more price pressure on the green bean on the Vanilla plantations in Uganda due to the raise in demand.